Scan Copyright © Paul Malon on Flickr. All rights reserved. Mr. Malon truly outdid himself with the quality of this scan. It is so rare to see any vintage magazine advertisement — much less one from the Thirties — really shine like this one without having the original artwork. 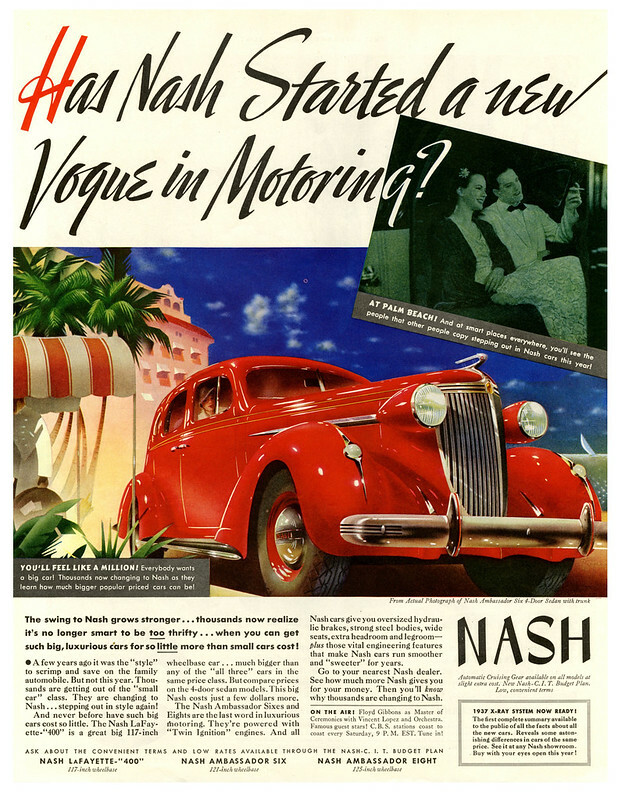 Posted in 1930s, Retro/VintageTagged 1937, advertising, automotive, Florida, illustration, Palm BeachBookmark the permalink.